The National Institute of Food and Agriculture (NIFA) administers federal grant programs for agricultural, environment and human health research, and education primarily at state universities, and by other approved partner institutions. It does not perform research, only funds research at the state and local levels. The NIFA, one of the newest agencies to be created in the Department of Agriculture, replaced the Cooperative State Research, Education and Extension Service, which was formed in 1994. The Director of NIFA is Roger Beachy. The National Institute of Food and Agriculture (NIFA) was officially reorganized in October 2010, as a result of its creation in the Food, Conservation, and Energy Act of 2008. The institute replaces the Cooperative State Research, Education, and Extension Service, created in 1994, which was also a consolidation of the USDA Cooperative State Research Service and the Extension Service. While the agency is a new addition to the federal government, its functions date to the Morril Act of 1862, which established the Land Grant University system that gave a grant of federal land to each state to develop a university and fund associated research, education, and extension programs. In addition to research and education functions, land-grant universities have a federal mandate to operate extension (public, noncredit, tax-supported educational) programs and information based on university research. The earliest functions of the agency were performed by the USDA’s Office of Experiment Stations from 1888-1955, when it became the State Experiment Stations Division until 1961, and then the Cooperative State Experiment Station Service until 1963. Early functions were also handled by the Cooperative Extension Service, which was created in the Smith-Lever Act of 1914, to fund cooperative extension activities. From 1963-1978, the agency was known as the Cooperative State Research Service and then the Cooperative Research Staff under the Science and Education Administration from 1978-1981, and again as the Cooperative State Research Service from 1981-1994. The National Institute of Food and Agriculture (NIFA) has two main functions: 1) helping states identify and meet research and education priorities and 2) providing annual formula grants to land-grant universities and competitively granted funds to researchers at land-grant and other universities. The focus on the funded research includes, improving agricultural productivity, creating new products, protecting animal and plant health, promoting sound human nutrition and health, and revitalizing rural communities. In addition to land-grant universities, partners include other federal agencies, nonprofits, professional organizations, commodity groups and grower associations, private companies, citizen groups, and foundations. Grants are administered through an extensive network of state, regional, and county extension offices in every state and territory that are staffed with educators and other staff to assist the public, hold workshops and other educational programs. The agency administers around 60 programs, which are grouped by National Emphasis Areas. It also publishes a number of newsletters covering various topics. The FY 2013 proposed budget asks for $1.275 billion in funding, the bulk of which will go toward research and education activities ($737.7 million) and extension activities ($462.4 million). The largest-funded program in NIFA’s FY 2013 proposed budget is $325 million for the Agricultural and Food Research Initiative, a new competitive grant program under the Food, Conservation, and Energy Act of 2008 that is aimed at addressing food and agricultural sciences research ranging from plant and animal health to food safety, rural agriculture economics, and renewable energy. The second-largest funded program is $292.4 million for Smith-Lever formula grants for extension programs for those who do not attend college but receive agricultural instruction and demonstration from county agents. Another large program is for Hatch Act formula grants, which has a proposed funding of $234.8 million for research at state agricultural experiment stations. For information on available grants administered by NIFA, there is a searchable database of funding opportunities. Another Monsanto Man in a Key USDA Post? Grist Magazine columnist Tom Philpott questioned the appointment of Roger Beachy as Director of NIFA in a 2009 blog post. Before he was tapped for the position, Beachy ran the Danforth Plant Science Center, which was created through donations from the Danforth Foundation and the Monsanto Fund. Philpott calls the Plant Science Center a research and PR arm of the pharmaceutical company Monsanto. In recent years, reform initiatives have aimed at trimming funding for the agency and phasing out federal formula funding in favor of competitive grants. Since the late 19th century, formula funding for public agricultural research has been controlled at the state level by scientists who determine priorities for local research needs and issues. Competitive grants, on the other hand, are directed at the federal level, with a research agenda that tends to be national in scope, but that can arguably be influenced by lobbyists and special interests. Begun under the Carter administration in 1977, there has been a trend toward a competitive grant system. The political debate over funding for public agriculture research generally tends to be divided by those who claim that replacing federal formula funds with competitive grants will tilt the system toward a national agenda, at the expense of local ones—and those who contend that competitive grants offer more accountability. The research agenda for federal formula funds is determined at the state level to address local needs—either by scientists, State Agricultural Experiment Stations (SAESs, which currently account for 60% of public agricultural research) directors or both, while that of a national competitive grant program is set in Washington. Critics argue that channeling all funding to competitive grants would cause SAES to wither—unable to get federal funds and having lost matching state funds. If policy goes in this direction, some fear the federal interests would surpass local ones in the research community. Other arguments for formula funding say it provides steady, accessible funding for scientific research, which can often take many years to produce results and would be adversely affected by the uncertainty associated with competitive extramural funding (many are short-term). On the other side of the debate, critics argue that federal formula funds are easily influenced by lobbying, have limited accountability, and lack sufficient oversight mechanisms. In the past, critics of CSREES grants have claimed they unfairly favor particular states or commodities. Dr. Colein Hefferan earned her BS from the University of Arizona and her MS and PhD from the University of Illinois. Before joining the USDA, she worked in academia: as a research fellow at the Australian National University in Canberra, an adjunct faculty member at the University of Maryland, and as an assistant professor of behavioral economics at Pennsylvania State University. 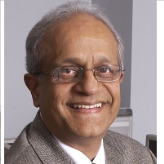 Hefferan joined the USDA in 1979 as an economist with the Family Economics Research Group, Agricultural Research Service. Thereafter she transferred to the Cooperative State Research Service in 1988, where she served as Deputy Administrator for Natural Resources, Food and Social Sciences. When the CSREES was established in 1994, Hefferan became Deputy Administrator for Competitive Research, Grants, and Award Management. She has also served as Associate Administrator and Acting Administrator of CSREES. She became Administrator in 2000. Dr. Colien Hefferan earned her B.S. from the University of Arizona and her M.S. and PhD from the University of Illinois. Before joining the USDA she worked in academia: as a research fellow at the Australian National University in Canberra, an adjunct faculty member at the University of Maryland, and as an assistant professor of behavioral economics at Pennsylvania State University. 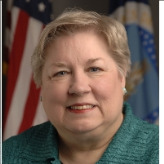 She joined the USDA in 1979 as an economist with the Family Economics Research Group, Agricultural Research Service. Thereafter she transferred to the Cooperative State Research Service in 1988, where she served as Deputy Administrator for Natural Resources, Food and Social Sciences. 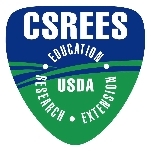 When the CSREES was established in 1994, Hefferan became Deputy Administrator for Competitive Research, Grants, and Award Management. She also served as Associate Administrator and Acting Administrator of CSREES. She became Administrator in 2000. In December 2010, Hefferan was appointed director of the U.S. National Arboretum.